Video has become a driving force in content marketing. According to latest statistics in The State of Video Marketing 2019 by Wyzowl, 68% of people say they’d most prefer to learn about a new product or service by watching a short video. This makes video more popular as a learning tool than text-based articles (15%), infographics (4%) presentations and pitches (4%) ebooks and manuals (3%). One only has to look as far as YouTube’s success to see that video content is a thriving entity all on its own. In order to maximize the effectiveness of your content marketing efforts, there is no question that you need to incorporate video into your marketing mix for lead generation. Product videos have proven to be helpful in the decision process of the buyer’s journey, with a reported 46% of users taking action after viewing a video ad. In fact, you can create a thriving business using mostly video as your main type of content. If you normally just use textual content, the thought of using video can be daunting. It doesn’t have to be! 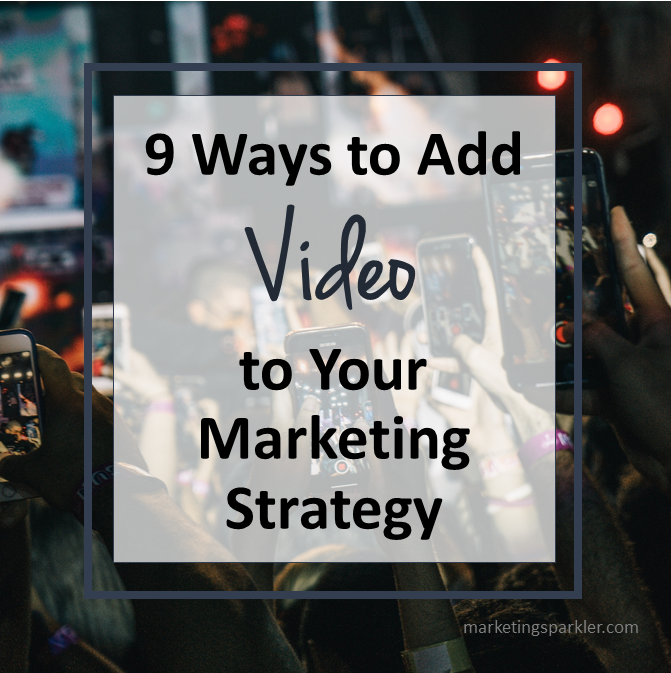 Here’s how you can get started using video in your business today. You really don’t have to spend tons of money on the right tools for creating entertaining and engaging videos for your content marketing needs. However, at least spending enough to be able to provide adequate lighting and sound is important. With the help of a couple apps, you can even use your smartphone or iPad to create outstanding videos. Videos don’t stand alone. If you create one, you really should create more than one. Having a regular video series as part of your blog is a good idea. It will encourage more viewers to take the time to view your videos if you have more than one. At first it may feel as if no one is watching, but take the time to stick to doing them during a time period and see what happens. Video marketing tip: Host a regular video series to gain repeat viewers for your videos. For your first video you don’t have to reinvent the wheel; instead use some content you already have. If you have a “how to” blog post, why not do a quick video demonstrating how to do “it”. If you have a blog post with five tips on doing something better, do five videos talking about each tip for two or three minutes. Using visuals outside of your face is a good idea, to make it more interesting. Don’t reinvent the wheel. Use your existing text-based content and repurpose into quick videos. Leverage online and offline events for your content marketing. Record your events, edit and repurpose into video snippets. You can actually even hire local people to record for you. It’s up to you how much money you want to spend. But, it costs a lot less than you think to produce very professional sounding and looking videos for your content marketing needs. Do not worry about being perfect. Take a look on YouTube at the popular videos in your niche. They are probably not perfect. There may be a few exceptions but more than likely the really popular ones aren’t perfect. And if they are perfect, that person has probably been doing video FOR YEARS; I guarantee they did not start out as perfect. I guarantee it! As long as viewers can see something interesting, hear the audio and trust the value and truth of the information being shared, you’ll see success using video as one of your content marketing tactics. 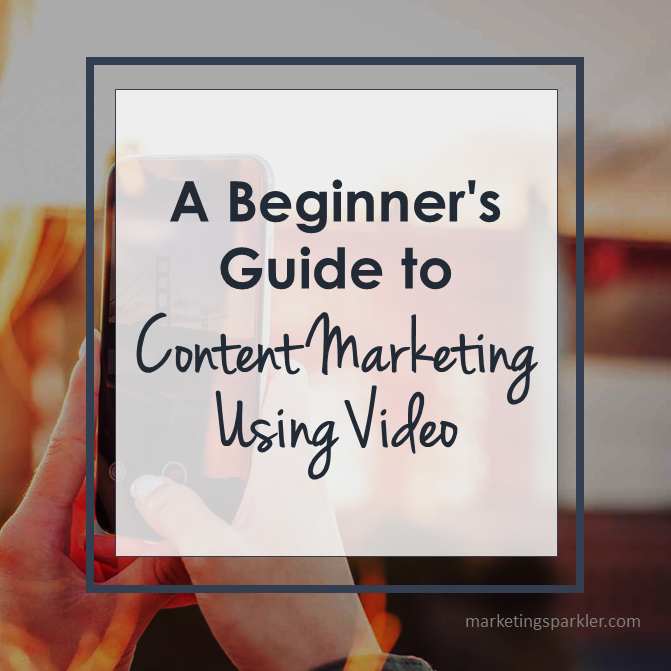 Now that you have the basics covered, it’s time to talk about specific content ideas for your video marketing. 1) Share Announcements – A fabulous way to get started with video is to add exciting announcements to your blog using video. Announcements can be made quickly with your webcam and the microphone that comes with your computer. 2) Add Customer Reviews/Testimonials – Ask your customers to make video testimonials or do product reviews for you. It’s a great way to add interesting content to your website, social media, and other networks. 3) Add to Your Email Campaigns – You can actually include videos embedded into your emails with a play button, or include a link to the video inside your email with a description of the video you want your list members to watch. 4) Show Demos – A great use of video is to demonstrate anything to your clients. You can give them examples via video about how to do things such as how to format a blog post on WordPress, or how to bake a cake. Explainer videos can make your product or service easier to understand than a PDF or long article. It all depends on your niche. 5) Use in Training – Video is a great thing to use in training for your contractors, affiliates and others. You can teach people how to do simple to complex things via video. It’s almost as good as being there in person. 6) To Show Interviews – Are there movers and shakers in your industry that you’d like to interview? Gather together a round table of experts, record it, edit it and use it in materials later. 7) To Cover an Event – Going to a live event? Capture video, put it together, add some annotations, music, and commentary, and you have a wonderful video to share with your audience. 8) To Add Interest to Your Blog – Text-based blogs can get a little boring. Adding in good pictures, and even a short video within the blog post can add a lot of interest, making it more likely that people will visit, comment and share. You can also add a video introduction to your website instead of the normal blog or home page. 9) To Use on Social Networks – All the social media channels offer space to put up a video. Why not make a video introduction showing a short compilation of the type of work that you do to viewers who find you there? Video marketing tip: don’t forget to add a call to action with every video. Finally, don’t forget to remember a call to action with every video. Whether your call to action is to like, share, vote, or buy, it’s imperative that you develop a way to leave your viewers with a clear idea of what they should do next.